I've had getting a Holga camera on my list of cameras to get for a long time now and I promptly ordered a bright green HolgaGlo 120n when I heard that the Holga factory had ceased operations. I've also had a Holga WPC pinhole camera on my ebay wish list for some time and hopefully I can find one of those in the next few weeks to add to my pinhole camera collection. 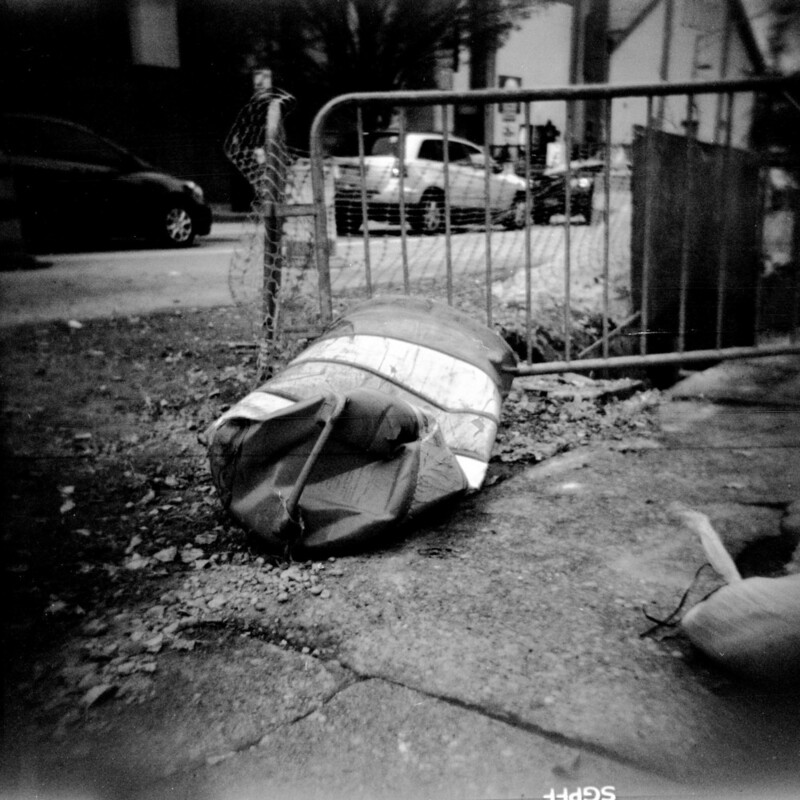 These photographs are from the first roll I shot in the new Holga with Shanghai GP3 100 Pan film. 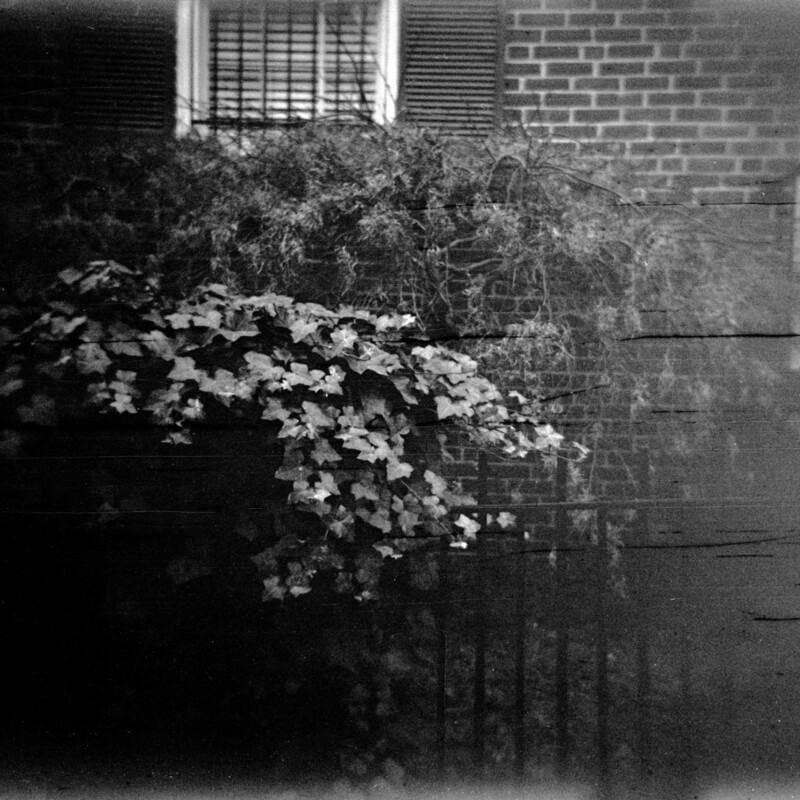 I developed the roll in the usual caffenol concoction in the kitchen sink and scanned the negatives with my Epson V500 Photo. My favorite one is the first photo I made, an accidental double exposure in Mount Vernon, Baltimore of the Washington Monument. I also accidentally made a double exposure of a cool VW Bus and our Lava Lamp, they kind of go together though. I'm hoping to get out and shoot a couple of rolls with it on my upcoming Christmas vacation with some recently acquired expired Kodak Portra 160NC.